CoolSculpting® is a new, non-invasive alternative to liposuction that is FDA-approved to selectively target and eliminate fat cells. This results in natural-looking fat reduction of isolated fat bulges and trouble areas. Using advanced cooling technology, this treatment can effectively rid the body of excess fat in the abdomen, love handles, and back without harming surrounding tissue. Performed as an in-office body contouring procedure at our Reno practice, CoolSculpting® can be a gentler, less invasive approach compared to other fat removal techniques. Why Come to McCormack Plastic Surgery for CoolSculpting®? McCormack Plastic Surgery stands out among medical spas, non-core specialists, and other practices that provide CoolSculpting®. Dr. McCormack has received extensive training in CoolSculpting® and as the first practitioner in Nevada to offer the innovative technique after its FDA approval in 2010, she has an unprecedented level of experience using it to reduce stubborn pockets of fat for both women and men. Furthermore, our Registered Nurse has attained full training in CoolSculpting®, and she is highly skilled in performing treatments with the utmost degree of safety and efficacy. When you choose our practice for CoolSculpting®, you can feel confident and completely at ease knowing you are not only receiving treatment from an expert provider, but that a board certified plastic surgeon who operates under a rigid code of ethics is also on-site. Additionally, in the exceedingly rare case that a complication should occur, you can have peace of mind that our team is qualified to handle whatever may arise. Ultimately, CoolSculpting® at our office will only be performed if it is right for you, as Dr. McCormack would never recommend a technique that she does not believe is the best option for your specific needs and goals. What Areas of the Body Can CoolSculpting® Treat? These regions are typically prone to excess fat accumulation and often remain resistant to dieting, exercise, and toning efforts. Depending on your cosmetic goals and anatomical needs, CoolSculpting® has been proven to effectively treat these areas and achieve a 20 to 30 percent reduction in fat per session. In general, patients who seek further fat removal in a single body area, or fat removal in multiple areas, can pursue additional CoolSculpting® sessions. After discussing your concerns in a consultation, Dr. McCormack can develop a personalized treatment plan to determine the number of sessions necessary to meet your aesthetic goals. 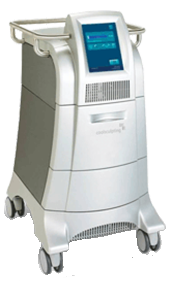 Cryolipolysis is a non-invasive technique developed by CoolSculpting® that can improve your body contour by reducing fat cells in specific areas of the body and enhancing its overall shape. The CoolSculpting® procedure is performed in our office under Dr. McCormack’s supervision. During the procedure, the fat cells are damaged as the cooled device is pressed against the target area, drawing tissue into a cup with mild vacuum-like pressure. This process causes an inflammatory response in the body, eventually leading to the breakdown and natural disposal of the damaged fat cells. Through a process called “apoptosis,” the cooled fat cells begin to shrink and are slowly digested over several months, gradually removed through the liver. In this way, fat can be shed without the need for needles or incisions. The result is a reduction in the targeted areas that is visible for most patients in about two to four months. What is CoolSculpting® Recovery Like? Patients may experience a slightly uncomfortable feeling with the contact of the cold device, which usually subsides after about ten minutes. Redness of the skin can last anywhere from several minutes to several hours following the treatment. However, because there is no need for anesthesia, needles, surgical incisions, or pain medication, recovery time is minimal. Most patients typically return to their routine activities, such as work and exercise regimens, on the same day as the procedure. Results from the procedure performed at our Reno plastic surgery practice have been remarkable. As your body naturally sheds the fat through its metabolic processes, many patients begin to notice enhancement in as little as three weeks, with the final outcome realized in around two to four months. Thanks to the treatment’s gradual reduction of fatty deposits over time, the results often appear even more natural when compared to other fat removal techniques. To view actual patients treated by Dr. McCormack, be sure to visit our CoolSculpting® CoolSculpting® before-and-after photos. What are the Most Common CoolSculpting® Side Effects? During treatment, patients may experience some degree of tugging, pinching, or tingling sensations before numbness at the targeted sites. After the session, normal side effects may include temporary redness, swelling, tingling, bruising, or tenderness. These reactions typically resolve within a few days or weeks. To make it easier for patients to bring the cost of CoolSculpting® into their budget, our practice accepts several modes of payment—including cash, checks, and all major credit cards—and works with several highly reputable plastic surgery financing companies. 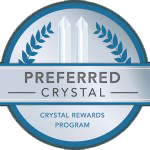 Options such as CareCredit®, Prosper® Healthcare Lending, and Alphaeon™ Credit offer many different payment plans with low monthly installments for qualified applicants, allowing you to pay for your CoolSculpting® treatment over a period of time as opposed to a lump sum in advance. If you have any questions or concerns about the cost of CoolSculpting®, please don’t hesitate to reach out to our practice today. With CoolSculpting®, Dr. Tiffany McCormack can help you reduce areas of excess fat and have you up and running almost immediately after the procedure. For more information about this exciting technology and to arrange your private consultation, we invite you to call our office at (775) 284-2020 or contact us online today. How Can I Get Rid of Abdominal Stretch Marks? 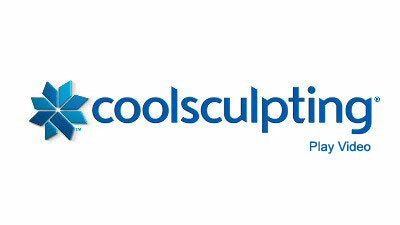 Why Choose a Plastic Surgeon Over Other CoolSculpting Providers? Does CoolSculpting® Work on the Thighs?